Johns Hopkins University Press, 9780801898389, 448pp. 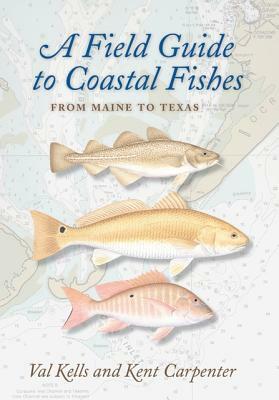 A Field Guide to Coastal Fishes is a comprehensive, current, and accurate identification guide to the more than 1,000 nearshore and offshore fishes that live in brackish and marine waters from Maine to Texas. Reliable and up-to-date, A Field Guide to Coastal Fishes is the most complete book ever published on East and Gulf Coast fishes--perfect for boat, home, or classroom. Its beautiful design and accessible format make it an ideal guide for fishermen, divers, students, scientists, naturalists, and fish enthusiasts alike. Val Kells is a marine science illustrator whose clients include publishers, designers, museums, nature centers, and aquariums. Her work has appeared in over 30 public aquariums and museums and numerous publications. Kent Carpenter is a professor in the Department of Biological Sciences at Old Dominion University. He is author and editor of numerous publications, including the multivolume FAO Species Identification Guide for Fishery Purposes.